Federal funding for the long-anticipated road into the heart of the N.W.T. 's Tlicho territory was announced Wednesday in Whati. 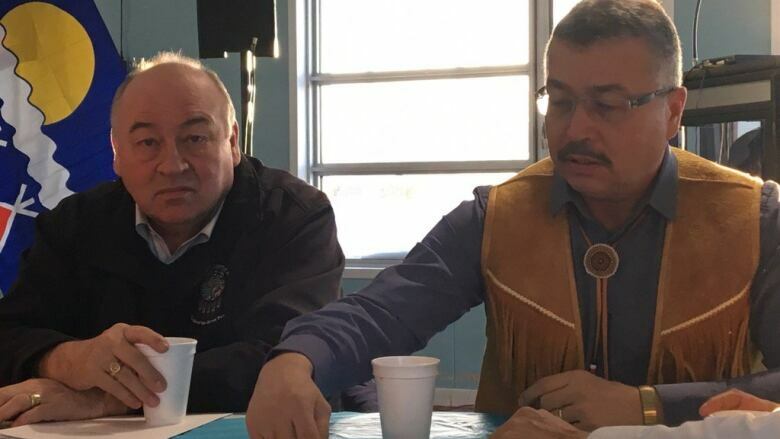 The federal government has announced it will pay 25 per cent of the cost of building an all-season road to Whati, N.W.T., through the P3 Canada Fund. 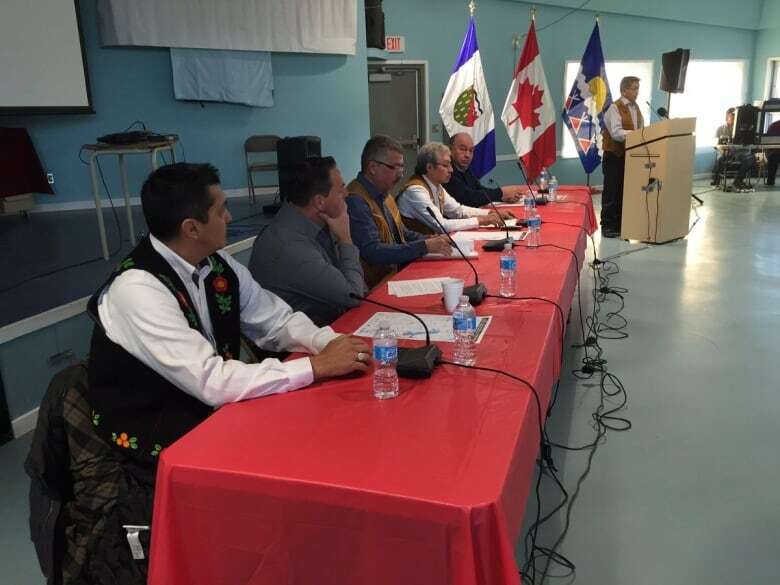 The announcement of funding for the long-anticipated road into the heart of the N.W.T. 's Tlicho territory was made Wednesday in Whati. Additional funding for construction of the 97-kilometre gravel road will come from the territorial government, contingent on approval by the legislative assembly, as well as the private sector, using a public-private partnership, or P3, funding model. The government hopes to attract that up-front private sector funding by guaranteeing a 25-year operations and maintenance contract to the winning bidder. The total anticipated cost of the project has not been announced, as the government is putting the construction contract out to tender for private companies to bid on, but it was previously estimated to cost around $150-million. The Request for Qualifications will go out in February 2017. 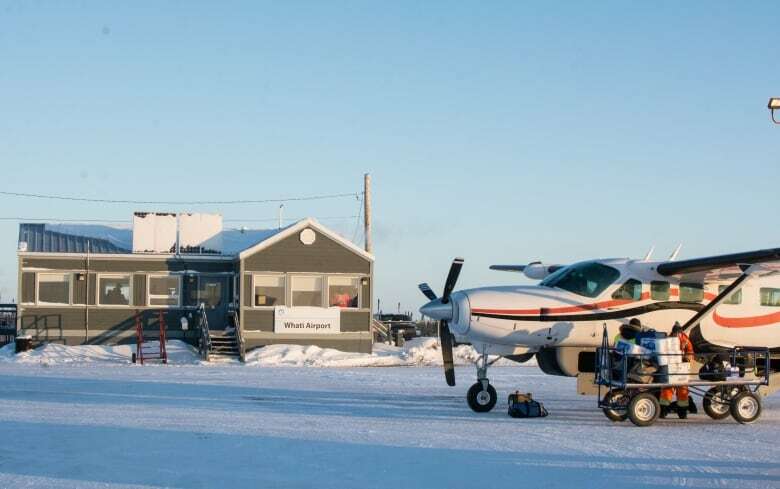 As it stands, the community with a population of around 500 is only accessible by vehicle for several months a year, via an ice road that's becoming increasingly expensive and technically challenging to build. "The road to Whati will create a lot of opportunities. There will be work... the cost of living will be a little less, and there's also opportunity for businesses," says Alfonz Nitsiza, chief of Whati. "It will be cheaper to go in and out of the community," he adds. "Right now to go out and take my wife out for a weekend to Yellowknife, for the return fare alone will be close to $900… If we're to take a few groceries home, that's over a dollar a pound, so it adds up pretty quick." 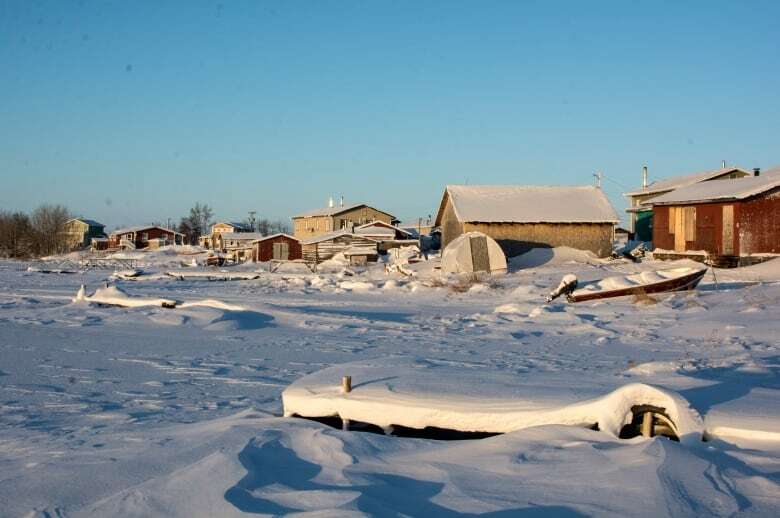 The road is expected to extend ice road access to Wekweeti and Gameti, communities north of Whati, by up to a month each year. It also will help provide access to Fortune Mineral's NICO project, a significant gold-cobalt-bismuth-copper deposit roughly 50 kilometres northeast of Whati. The GNWT will release the request for qualifications in February, which will begin the search for contractors to build the road. The hope is to award the contract sometime next year. "Once they get [funding] they want to fast track it, and hopefully the construction starts, probably in the winter of 2018," says Nitsiza. "It will hopefully be done by three years after that. So we'll probably have a road maybe in the next four years." "During the two to four year construction period you might have several hundred workers," says Russell Neudorf, deputy minister of transportation. "After that the numbers will drop down to a lower number for the [Operations and Maintenance] work. I would estimate about 10 or 12 full-time workers on the road." The lead construction contractor that wins the P3 will likely be from outside the Tlicho region, says Nitsiza. However "there will be subcontracting, and we'll probably be part of the subcontracts." There will be "milestones certain companies have to meet to ensure there's local involvement," confirms Neudorf. "We'd like to see 100 per cent [local employment]." The construction is expected to involve building two to three temporary 150-person camps — only one at a time — according to government documents. Beyond the short-term employment opportunities in road construction, the new road could help bring more mining jobs for the region. NICO mine has already received a water licence and land use permit, and successfully undergone an environmental assessment. Fortune Minerals is still lining up financing for the project, but the year-round access to nearby Whati promised by the road will certainly change the economics of the project for the better, allowing supplies and mining products to be trucked in and out. "Their problem has been their inability to raise necessary levels of capital to move to the next step of construction," explained N.W.T. Premier Bob McLeod. "We've been to China, Fortune Minerals has been part of our trade mission to China. Their expectation is with a road, it will help make it easier for them to access capital so they can move on to the next step." The road project also comes at a time when cobalt, NICO's primary resource, is increasingly in demand, thanks to a rapidly growing market for cobalt-based lithium-ion batteries used in renewable energy storage and electric cars. The prospect of a nearby mine is appealing to Nitsiza, who sees it as a source of employment for Tlicho members as well as a source of revenue for the Tlicho government through impact benefit agreements. "We have housing problems, and we talk about loss of language, culture, way of life... And it seems we're never going to have enough money to fix these problems, so the only way to fix some of these problems is to get some sort of revenue coming in, and that means development," says Nitsiza. "Self government is all about self-sustaining. We've got to pay our way." The road proposal still has to undergo environmental assessment. In July 2016 the Mackenzie Valley Review Board ordered that an assessment be completed prior to construction, in light of "evidence on the record [that] indicates that the Tlicho All‐Season Road… might cause significant adverse biophysical and social impacts and public concern." Of particular concern is the potential effect the road could have on the already beleaguered caribou herds whose migration routes pass through the region. "The developer has said that the road project will likely extend the season for winter roads to Wekweeti and Gameti. This may extend the seasonal access to the Bathurst and Bluenose caribou herds, potentially increasing mortality from hunting," the review board states in its decision. Furthermore, "the road project might also cause barrier effects to caribou movements, in the form of linear impediments, and disturbance resulting from dust, noise, and reduced air quality." 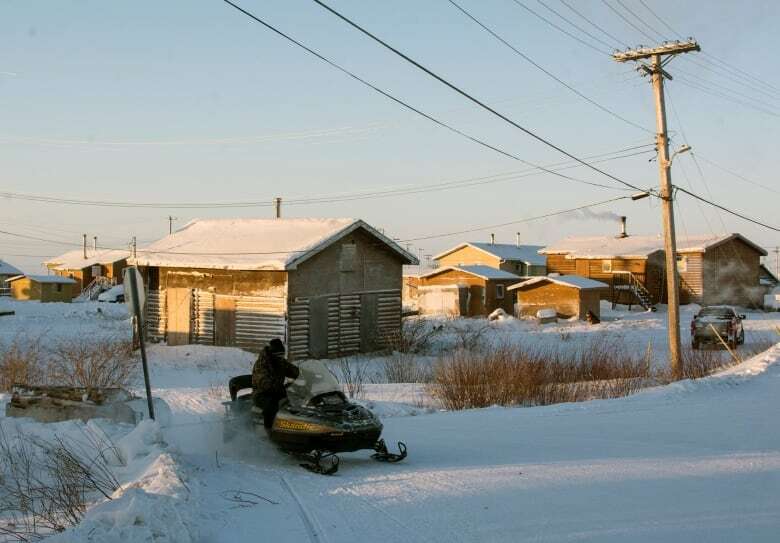 The assessment goes on to suggest the road could lead to social changes — involving an increase in crime, drugs and alcohol — that "could adversely affect the health and well‐being of residents of Whatì." 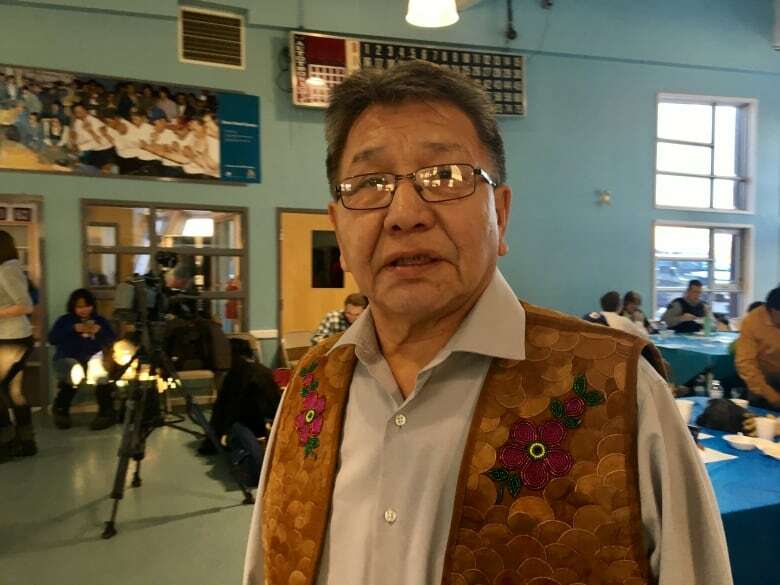 For his part, Nitsiza says he's not overly worried about the road's potential impact on caribou or the community's social fabric. The caribou tend to avoid the area where the road will be built, he says. And alcohol prohibition has "really never worked." "We find out through open discussion and talking to the youth in school, and working with them, it's the only way to go. We live in a mainstream society now, and we have to adapt to a new way of life."